2018 HAS BEEN “a very exciting year” for the AVL Media Group and its parent company, Intellimix Corp., says AVL Managing Director Andrew Hope. 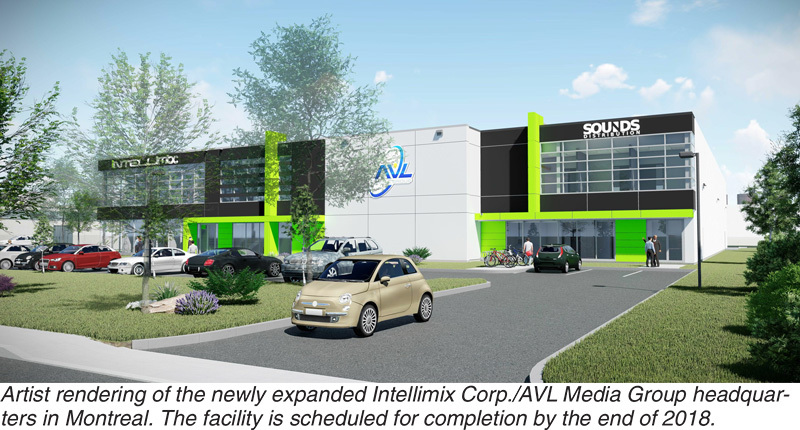 Now completing construction on a 10,000-square-foot expansion at its headquarters in Montreal, Intellimix recently augmented its workforce and, perhaps most significantly, entered the U.S. market. Established in 2011 as the professional division of Intellimix, AVL focuses on the professional production, integration, and broadcast markets. It’s led by owner/CEO Stephen Kosters and Hope, who has more than 25 years’ experience in professional AV distribution and has been guiding the company’s growth since 2016. Over the past year, AVL has expanded into new market segments such as wireless communications and large-scale LED displays with defining products from technology leaders including Pliant Technologies, Ledman COB, and ROE. With ongoing success in the Canadian market driving the company to expand, in 2018 AVL took its first steps into the U.S. market as the exclusive North American distributor for the Italian-made Spotlight line of best-in-class LED lighting gear for studio, theatrical, and architectural applications. AVL showcased the brand at the 2017 Live Design International convention in Las Vegas.